Time always seems to run short during the holiday season, so planning ahead is key to helping things go smoothly. Cranberry sauce, a holiday classic, freezes well-so you can extend a large batch from Thanksgiving until New Year’s. Holiday planning tip: Make a double batch of cranberry sauce for Thanksgiving. Freeze it, then use it again as a side, in sandwiches or on appetizers like these yummy Holiday Havarti Cranberry Toasts. 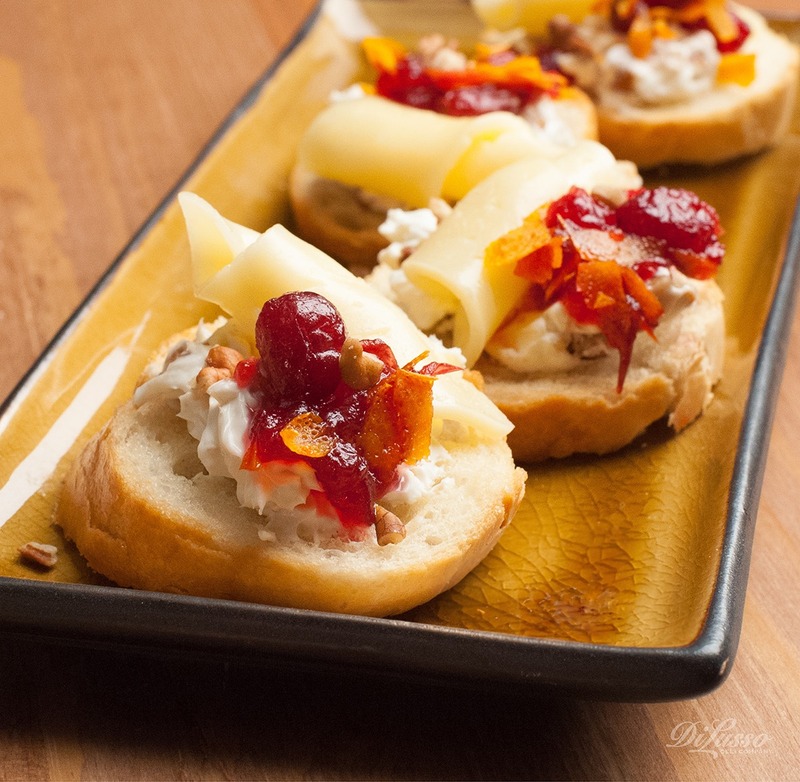 Holiday Havarti Cranberry toasts: Layer crackers or toasted baguette slices on a cookie sheet. Spread with cream cheese blended with orange zest. Add a slice of DI LUSSO® Havarti Cheese, then a dollop of cranberry sauce. Bake in a 400 F oven for a few minutes and serve.